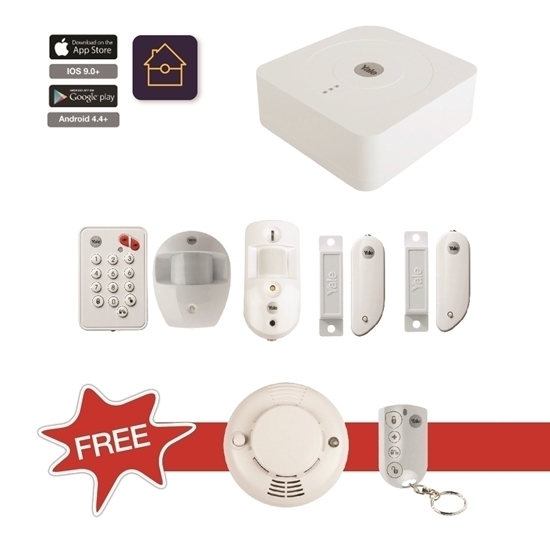 The Yale Smart Home Alarm kit is a home alarm system built with you in mind, allowing you to arm and disarm your system and view images of inside your home via a PIR Image Camera on your Smartphone. The Smart Home App also allows you to link your Yale Smart Digital Door Locks, Yale Smart CCTV and Yale Smart Home IP Cameras to the Smart Hub. This enables full control of your security with the convenience of mobile access from anywhere in the world.